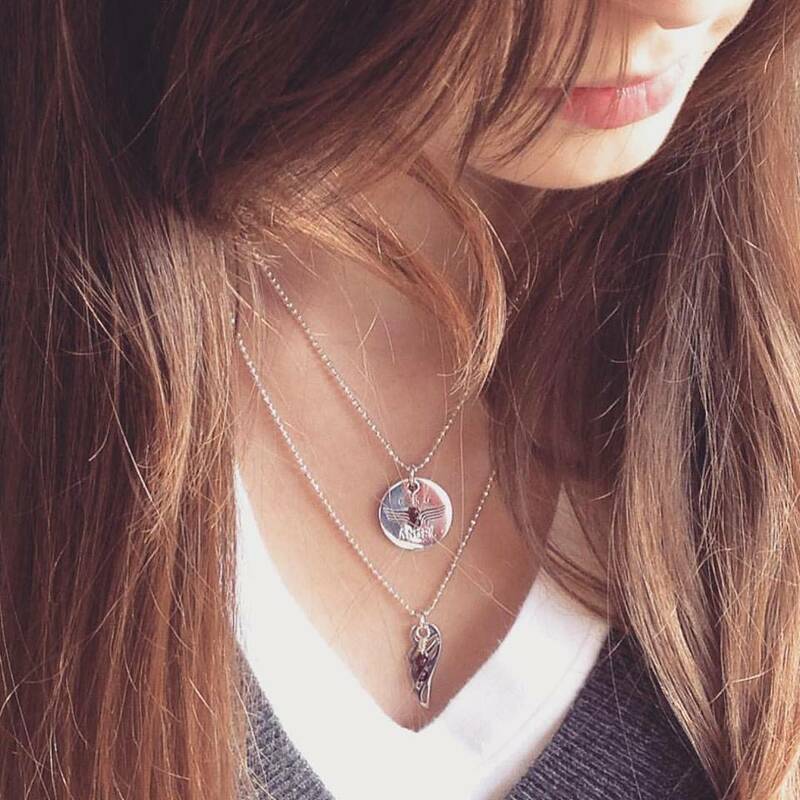 The Ciao Angel medal was the first piece created for the “Merci Angel” collection. 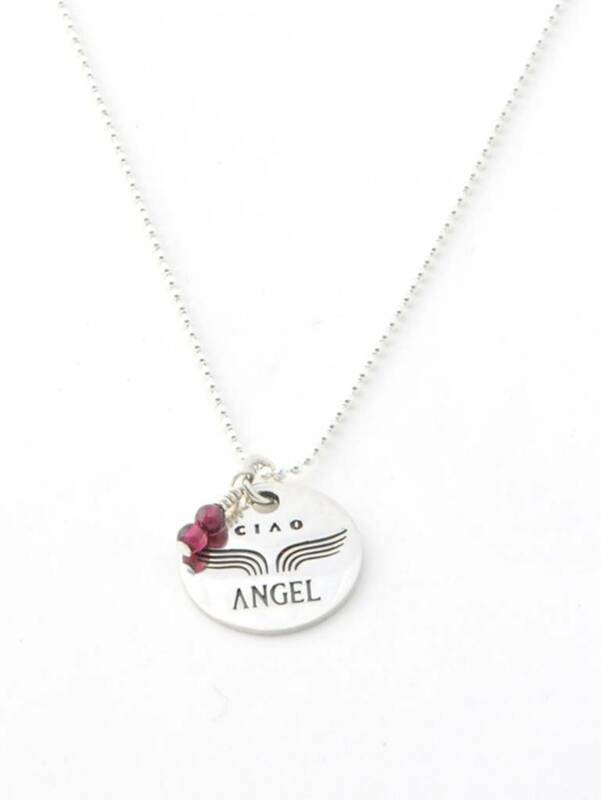 The words Ciao and Angel greets the angel who watches over you. 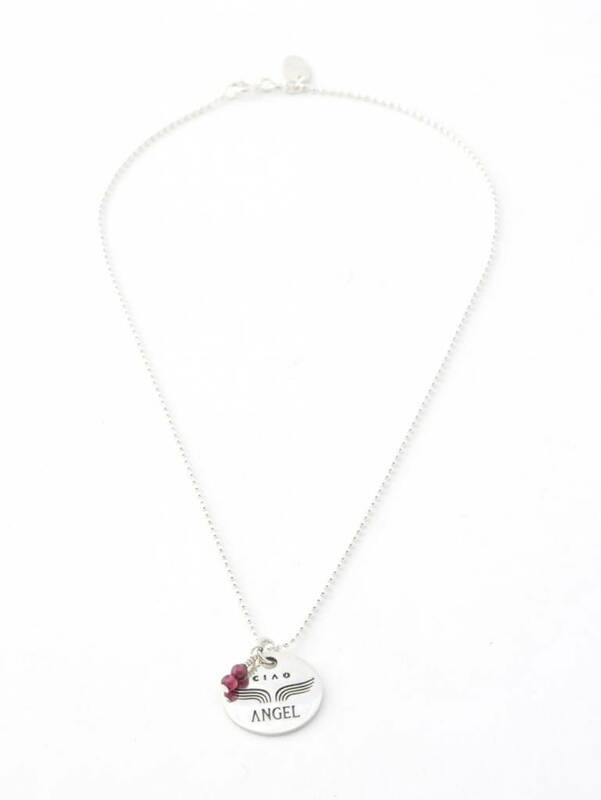 Wear this 16" necklace to tell him thank you.